Construction on the new park pavilion began in the village of Marengo this month. MARENGO — Construction on the new park pavilion began in the village of Marengo. This structure is a welcome addition to the work already completed in the new village park. “We are seeing our community’s hard work and persistence to enhance our village and surrounding area become reality. This is a result of everyone coming together, raising the local match money, to make our community park better,” said Mayor Mike Baker. The 1,500-square-foot pavilion was partially funded through an Ohio Department of Natural Resources NatureWorks grant and a Morrow County Community Development Block grant. The Ohio General Assembly recently allocated nearly $8 million to the NatureWorks Program. NatureWorks funding is available for cities, villages, counties, townships, park districts and conservancy districts interested in securing funds to assist with local park projects. Applicants and project scopes must meet the eligibility requirements under the NatureWorks Program. The Community Development Block Grant Program is administered by the Office of Community Development and provides federal funding to communities to address a variety of needs. Funding for Morrow County communities target community development, housing, emergency shelter and special projects and activities that do not fit within the structure of existing programs and to provide supplemental resources to resolve immediate and unforeseen needs. County Commissioner Tom Whiston welcomes the project as well. The park pavilion is scheduled to open in October. 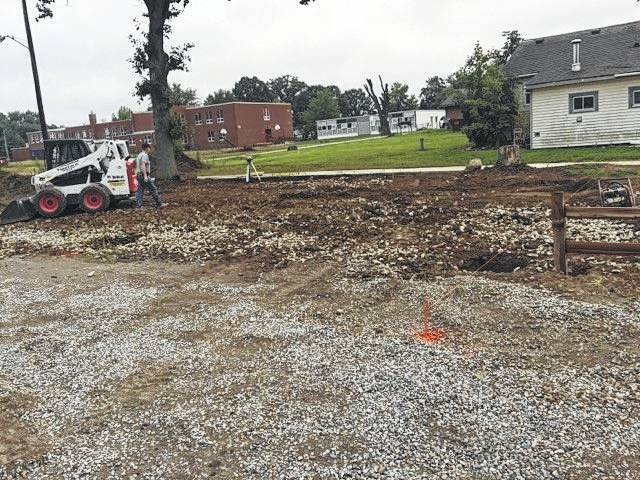 https://www.morrowcountysentinel.com/wp-content/uploads/sites/29/2017/09/web1_Marengo-Pavilion-2017-1.jpgConstruction on the new park pavilion began in the village of Marengo this month.